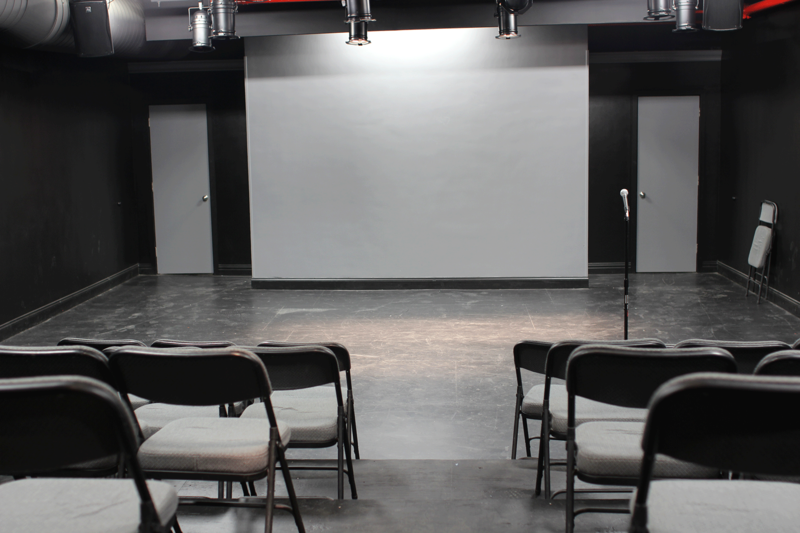 Our Presentation Packages are designed to empower performing artists and companies to develop and produce their work at no cost for performance space. While workshopping a new project, presenting a work-in-progress, or playing a low-key show for fun or practice, the low-ticket-price “To-House-Show” is probably your best option. Audience only pays $5 or $8 depending on the specific slot. In this scenario the entire box office goes to the house and you’ll guarantee the first ten tickets. If you already have a developed piece and a following (or are particularly confident in your ability to quickly build both), a “Ticket Split” will be of interest. You set the ticket price at whatever you think your market will bear (minimum $10), you’ll again guarantee the first ten tickets to the house (15 on Fridays / Saturdays), then after that minimum you’ll split the revenue with the house 60/40 (house/producer). in the amount of your ticket guarantee. Want to take home the full box office revenue? Check out our Rental Rates. We’d love for you to come see the space and talk about your project in person. or call us at 212-244-1722 to make an appointment.